BUSY WOMAN PROJECT - "SharedSpace is there early in the Asian market for Movement, through podcasts and shows. As movement teachers discover the power of personal branding, we are there to support them with business strategy. We’ll continue to roll with the market." GUAVAPASS - "... The squat. Understanding how to move in and out of a squat well and efficiently is very complex. Which part of the inner hip is working? What happens when I round my back? Learning to execute this movement properly in the first three sessions can make a huge difference going forward." LIV - "... gourmet healthy canapes and juices were served on the hotel’s outdoor terrace, followed by an invigorating workout: the March event featured an Introduction to Movement class with SharedSpace..."
ELLERMANN - THE WAY SHE MOVES - former ballet dancer and local entrepreneur Clare Lim. GUAVAPASS - "... it truly is an enjoyable class especially with friends, and it also makes for some great Insta-worthy pics!" 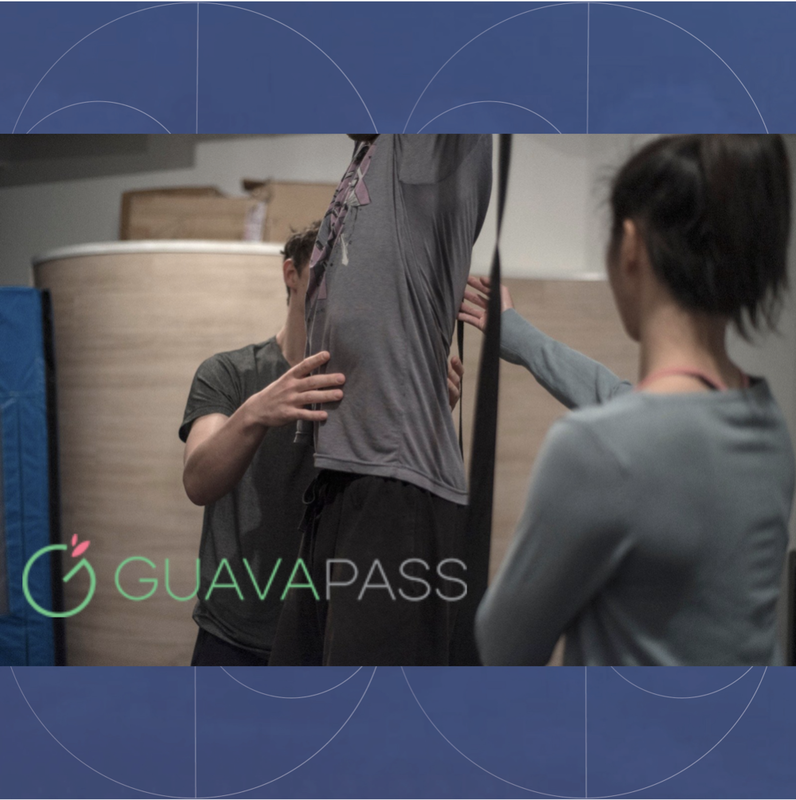 GUAVAPASS - "People feel an “a-ha moment” when they’re in a pose particularly when they’ve been readjusted... When we put our hand in there to adjust that person... it becomes a moment of realisation." LONDON REAL - Clare Lim on the London Real Business Accelerator by Brian Rose. LIV - Clare Lim, the only certified Katonah Yoga® teacher in Asia… if you embrace the mindful movements, Katonah Yoga® can be highly beneficial to a diverse wellness routine. SharedSpace Millennial Movement Podcast. More coming soon! SharedSpace Fitness Director, Aaron Martin, has over 10 years of experience practising Parkour, and believes in Parkour as an efficient method of overcoming physical obstacles. NEW YORK REAL - Why do introverts broadcast themselves? BE YOUR BEST KING - "Clare redefines growth by shifting from society's traditional focus on external physical accolades and performance such as those in sports competitions vs leading movement teachers to focus on connecting movement with one's inner identity, values and beliefs." BAD BAD CHANNEL - "THIS INTERVIEW WILL BLOW YOUR MIND... This is an episode about yoga, your body, movement, sacred geometry, what does that mean to be an artist, the season of life...and much more!" RECKLESS RED - "...get to know the CUTE couple behind SHARED SPACE, because #1 they have an amazing studio in the busy and bustling neighbourhood of Causeway Bay..."
RootED - "..Clare's personal journey through the discovery of movement in the search to heal anxiety, depression and physical injury; the result of which has led to her success as the innovative powerhouse and inspirational leader that she is." LIV - "Run by movement pioneers, SharedSpace’s introductory class aims to get you thinking about how you move through life." HOLYZINE - "She saw an opportunity and opened a workspace that was more on exploring different aspects of our body and refining them, a sanctuary where you feel rested, oppose to a gym that may put emphasis on a specific outcome." LIV - "...How much of the day do you move? How much of the day do you not move? How well do you move? How complex are your movement patterns?" LONDON REAL - Co-founder Clare Lim in conversation with Brian Rose of London Real, discussing the seed concept of SharedSpace. LIV - "beginners’ acrobatics classes, parkour and acro yoga..."